Summer. The season of ice cream, endless days at the beach, road trips to foreign countries, sipping cocktails by the pool, picnics in the park, but above all: festivals. It’s not just because of the music that these events are so popular. Festivals attract young, stylish and free minded people, who come to show and spot the fashionable outfits, dance a little, meet with friends and soak up some sun. But, has it always been like that? Where and when did this “festival craze” start? Let’s look back at three of the most influential festivals ever. To do that, we have to go way back, all the way to 1969. 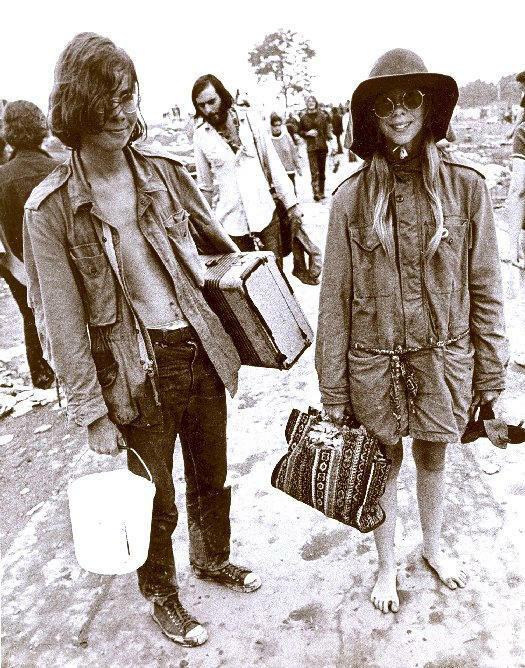 In this year, the first meaningful festival took place in the town of Bethel, New York, and since Bethel was near the city Woodstock, the festival was called the “Woodstock Music And Art Festival”. 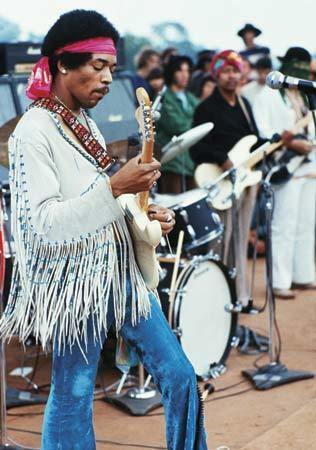 It boasted “Three days of peace and music” and the participating artists included Joe Cocker, Jimi Hendrix and Janis Joplin. The dresscode fitted the hippie era perfectly: Lots of fringes, headbands, feathers and.. peace signs. Last but not least, there is the “Coachella”. A youngster compared to the others, since the first two day event was held in 1999 and in 2007 it was extended to three days with the added bonus of camping on the grounds. From the beginning, Coachella was just as much about art as it was about music. Every year it features interesting art and sculptures, that attract young, modern people. Coachella climbed the ladder really fast, in the past few years their line-up has become more and more impressive. From Radiohead and The Cure in 2004, to The Red Hot Chilli Peppers in 2007 and N*E*R*D, David Guetta and Tiesto in 2010. The fashion at Coachella is also laid back, but softer, much like ‘garden party gone bad’. Spot ;ace tops paired with leather shorts, ruffled dresses with boots and a hippie headband to remind us where it all started: Woodstock. But don’t just take our word for it, celebrities such as Whitney Port, Katy Perry, Pixie Geldof and Kate Bosworth are also big fans. thanks for your comment! And also it allowed me to find this great blog!